Why choose Ecotile, the industrial PVC flooring specialist? Here’s why you should choose the world’s No.1 interlocking flooring specialists. High quality flooring products and technical support are key factors in any operational plan. Sadly, issues such as fire or slip rating certifications are often over looked until something goes wrong. Failure to employ due diligence and good practice when selecting a new floor can result in costly replacements, delays and insurance claims being refused. Ecotile design and manufacture a wide range of interlocking floor tiles at our UK production facility. We aim to provide durable and safe flooring products that can be installed with minimal disruption. All Ecotile floor tiles are fully recyclable at the end of their product life. All pre and post-installation material is recycled. We also offer a collection and recycling service free of charge. Ecotile flooring provides strong, flexible and modern flooring solutions for all industrial and commercial needs. Our standard tiles are tough enough to cope with the daily impact of HGV’s, pallet trucks, fork trucks and industrial use. Our ESD tiles, have been designed to protect people and components in areas where there is a high risk of electrostatic damage. This makes them ideal for electronic sub-assemblies and facilities that handle combustible and explosive material. At Ecotile we pride ourselves on the fact that our floor tiles are in use at some of the largest and most recognised manufacturers in Europe. Every day thousands of skilled people work and produce products whilst standing on an Ecotile floor. Click here to read our Ecotile case studies. 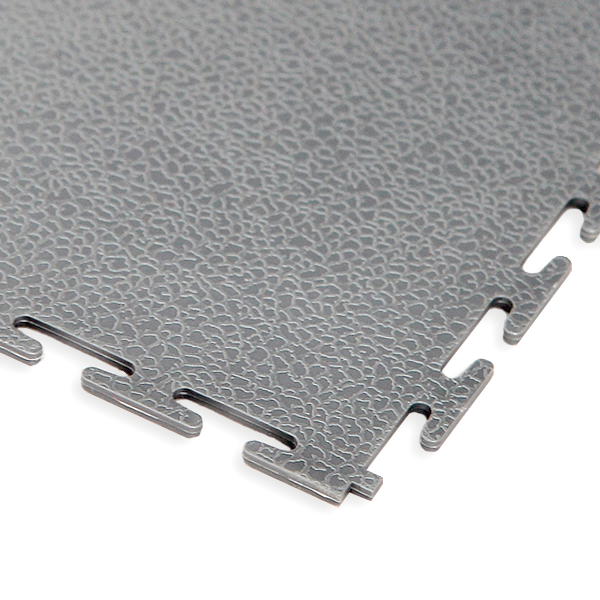 Our tiles are designed to cope with heavy vehicle traffic and fork lift movement. All of our tiles offer good thermal and acoustic insulation as well as strong resistance to impact. Thanks to all of these properties, Ecotile can be used almost anywhere! Thats why Ecotile has been used in factories, schools and offices across Europe for over 25 years.